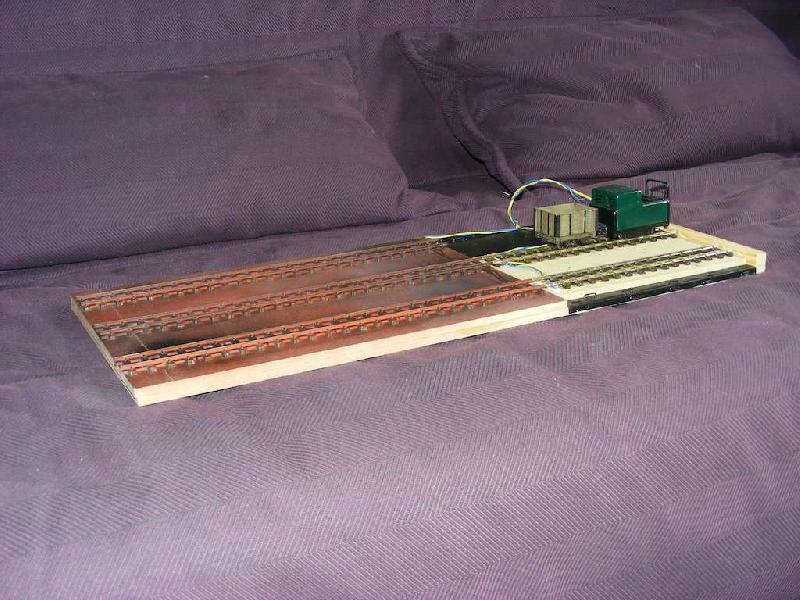 Workshop number 3 - bodge traverser layout. Having got my current Gn15 layout broadly finished, my thoughts turned to a small diorama/layout. A wander around the forum found the bodge traverser and a plan was laid. 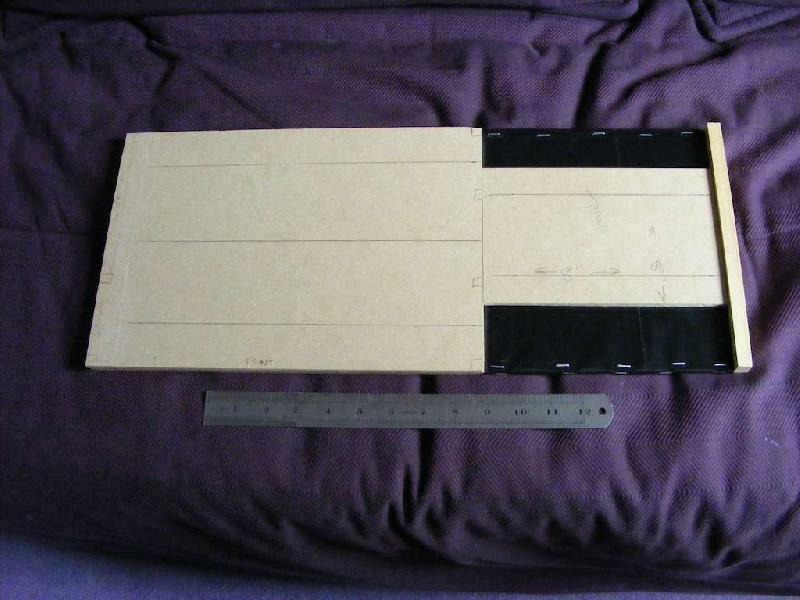 I started with some 6mm mdf left over from some backscenes I was doing for a 00 layout. Length is 21 inches and width is 9 inches. This allows it to fit into a plastic case I found in the shed which I'll use for transport. The traverser is fitted on top of a ptfe coated "baking liner" which is attached with staples. Staples also provide stops for the traverser in the appropriate positions. The building is my usual construction of mounting board reinforced with timber strips. The windows are 24 pane curved Georgian windows which I've straightened to look like industrial windows.The photo shows the windows held in place with masking tape to see how it looks. 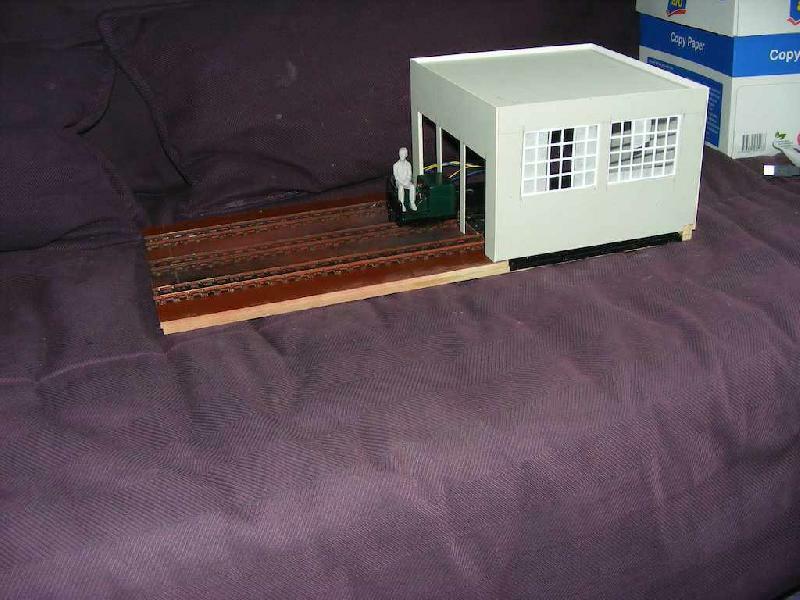 The backstory for the layout is that it is the back end of a workshop, possibly on a military base or an industrial location. 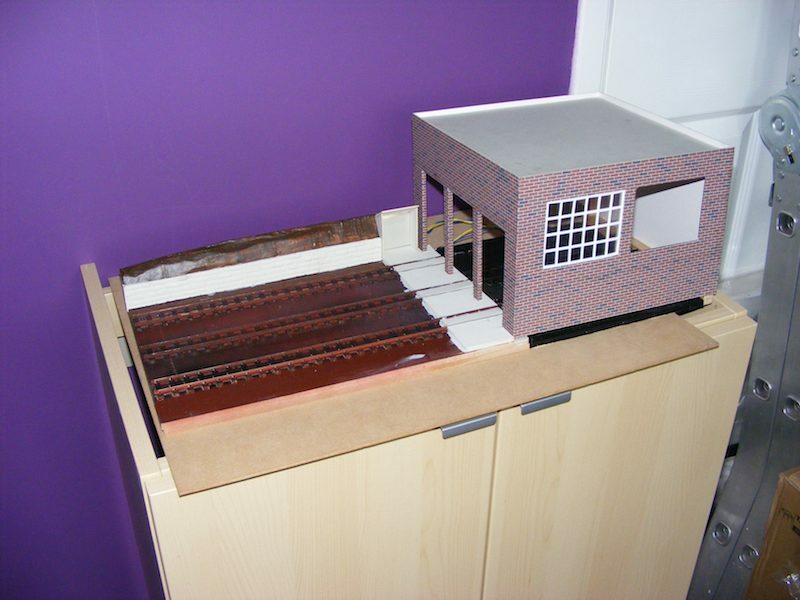 Most of the building has been clad in brick from http://paperbrick.co.uk/ although I've yet to add lintels and sills round the windows and doors. Hardstanding has been installed outside the doors along with a small open building which will contain an emergency station (with fire extinguishers etc). A low stone/concrete wall and embankment have been added at the back and await static grass and painting. Looking good Andy. Also it's nice to know that Paperbrick is up and running again - it seemed to stop working some time ago. Track is now ballasted, static grass added between the tracks and on the embankment, runners for the roller shutters installed and the brickwork finished. Still the roof to do, roller shutters to build,buffer stops to make and then some detailing. 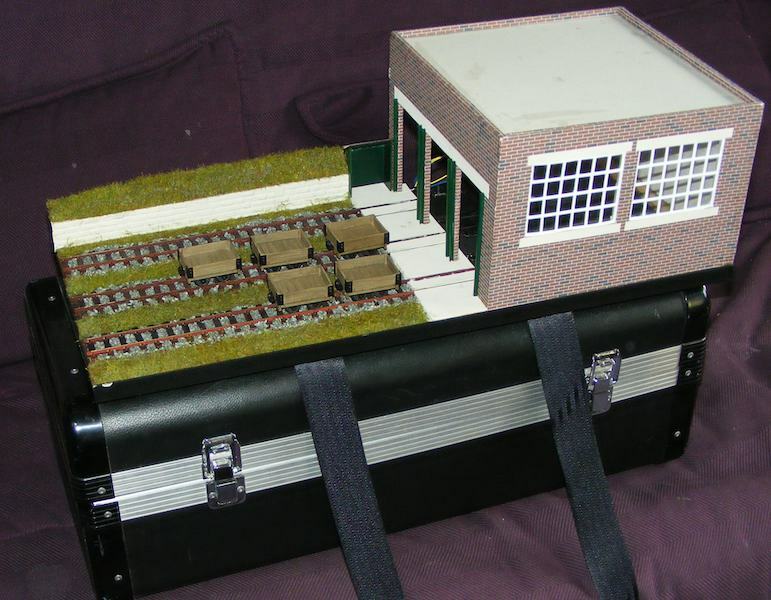 I'm planning to take this up to Perth model railway show this weekend if anyone is in the area. I'll be lurking on the Scottish Modellers demonstation stand. The layout won't be finished but at least most of the basics are in place. Well, nearly 3 months since the last post and progress has been zero so I sat and had a think and decided to concentrate on my distillery layout and dispose of this one as the distillery better suits my way of working. To this end, it left me this morning destined across the Irish sea to JohnA and hopefully, he'll do something interesting with it and let us see the changes.